Hi, How are you? My name is Gulzhan and I am fan of Bruce Lee. I want to ask about him few questions. Could you please help me to clarify? I like his philosophy, however, sometimes I get confused. Firstly, he said that if you pursue a goal, you become the goal, not an individual. Secondly, he talked about not being attached to the things. On the other hand, in his diary, he wrote a message to himself about My Definite Chief Aim and there he wanted to have money and be successful person and set goals. Could you please help me to figure it out? Bruce Lee never directly said that if you pursue the goal you become the goal and not an individual. Bruce’s philosophy was about cultivating the potential of yourself as an individual. Bruce did write and talk a lot about goals, such as his Definite Chief Aim, and he used these goals as a tool to aim at some aspect of his life that he wanted to create. With his other philosophies of being like water and flowing, it becomes clear that Bruce did not want you to get too concretely bound by your goals, but to use your goals as fuel for self-cultivation. Bruce Lee was not attached to all of these things; he was not fixated on these exact goals. Ultimately, he wanted harmony, peace of mind, and self-cultivation. Bruce put a specific dollar amount in his Definite Chief Aim as something to aim at that would afford him a certain level of comfort and security that he could then use towards his next goal. Bruce’s goals were grounded in intention. Bruce structured his life around the philosophies of “Be like water,” and “Using no way as way; having no limitation as limitation.” Bruce would often say that the measure of his reward is how much did he enjoy the journey and what was his contribution to society in the end. Even though we have goals, and we want to reach those goals, that it is in harmony with the idea of true self-cultivation, peace, and harmony with the world. You goals are a map for taking action, and once you are on your journey to your goals, you might realize that you want different things and decide to change course. That is why being fluid and not fixating on the goal is key because it is the journey to the goal that helps you cultivate yourself. I have had a thing about not sharing sacred spiritual experiences openly. What is your advice? This question is personal, and there is no right or single answer for this as it is something that depends on being in the moment. It all has to do with the moment, where you are and who you are with. It depends on how you feel in the moment. Whether you feel like sharing your experience with somebody will be helpful, if sharing it will help someone else to know you better, or if it is not for anyone but you. Tap into your own feeling and wisdom about your spiritual experiences. It is perfectly ok to have these experiences just be intimate thing you share with just yourself. There is no rule that you should never share those experiences or that these experiences only matter if you share them. With sharing spiritual experiences, sometimes we don’t share them because they’re deeply personal, or sometimes because we feel that others will judge us. If you feel called to share a spiritual experience, pick one of your safe people, someone who loves you unconditionally and supports you, and share your experience with them. In this way you can test out how it feels to share this experience and if you want to continue to share it with other people. Bruce’s philosophy is about being in relationship with yourself in the present moment and researching your own experience. Get comfortable with the fluidity of life, make a judgment in the present moment, experiment, and research what that feels like for you. I seek guidance when in search of what I want to do as a job and make a career out of, or find what brings me happiness and build on from that. How do you start that? How can you make simple decisions without listening to the fog of what sort of consequences arise, picking a career is hard and it doesn’t have to be one, but the trouble is I want a lot, I just don’t know where to start. I find being mixed between, stage and acting, and then extreme things like army commandos, or being a fitness public figure. Is there such a job that ties this all together !?? :’) Would you suggest both? What if I don’t succeed? We are sure that many of our podcast listeners are also grappling with this question. We are always questioning about what we should be doing in the world and all our variety of interests. There is a lot of discussion in this podcast about following your heart and where it leads. There might not be a specific job that combines all of the things that you want to do, but you can create one for yourself. You are all developing your own very unique, special recipe of being here and what your career is, and what your career is now. That is a flowing river that will shift and change and you have permission to create it however you like. There are societal pressures, institutions, and schools of learning that will tell you that you have to do something a particular way and that is the right way. However, you have the freedom to mix and match all the things that are really important to your own interests and growth in the present moment. For Amie, there are many examples of people who have evolved from one profession to another. There are people who started in the military and went on to be an actor. There are some who have started in fitness and become an actor or vice versa. The possibility is there and many people have transitioned between careers. What can be hard is knowing where to start. The important thing to note is that you do not have to do it all at once. You can start with one thing and develop expertise in that, and at the same time cultivate your other interests. While pursuing one career you could discover that you’re actually interested in something else, or you can find a way to weave your interests into your career. The false notion is that if you pick one thing you are excluding all others. Part of the journey is finding out what the recipe is and what it wants to be. Many of us are already hovering around the things that we love. We may not be thinking about it in terms of a job, but notice what you are naturally leaning towards. In any job, no matter how much you love what you do, it is not always one hundred percent enjoyable. There will be mundane tasks or things you don’t enjoy that you have to do as a part of your job. The question is, what of these things that when you do it, the energy and joy you get from it is able to carry you through the parts that are mind-numbing or not enjoyable. You cannot just think about these passion directions, but you have to take action and try them out. Even if you are working in a job just to make a living and that does not spark passion in you, pursue your interests outside of work. Bruce Lee was both a martial artist and an actor. He made a living doing those things, but he also had many side interests such as drawing and jewelry making. While he was focused on his particular career as a martial artist and actor, he never limited his pursuit of other things that interested him. To start taking action on choosing your career path, for a month do some journalistic noticing about yourself without judgment while you are trying out a pursuit you enjoy. At the end of the month you can see better what the big picture looks like. Why do I want so bad to send this message to you and get your approval or formal answer? This is one of the greatest limitations of a fan – to be formally approved by the source of the finding. Maybe all I need to do is to transform a fan behavior to an admirer human being, putting myself in the same level of the source with all respect. We have all been fans. It is normal, especially as a young fan, to feel such great admiration and worship of a celebrity, or whomever you are admiring, that you feel unworthy or beneath them. As we mature into that love relationship, and it stays in the phase of wanting to worship at someone’s feet, it can be great for you, but less so for the object of your admiration if you are interacting with them. It is not a back-and-forth exchange that feels like a normal human exchange, it feels like an idol worship experience. Specifically to this listener’s point of view, it’s a reflection of, “Where am I within the relationship with myself, and what is this showing me?” It is not about the love of Bruce Lee or Shannon, but about desperately needing outside approval and desperately needing approval from the person you admire. It is a great moment to reflect. In this instance both Bruce Lee and Shannon would say that you do not need anyone’s approval and that you already have their approval as a human being. You are a viable, creating, living, energetic entity, and you have a love of Bruce Lee. That is a beautiful thing. Whether you receive a response or not, energetically you are resonating with this energy and in that there is an exchange. On the human level of fan interaction, Shannon really appreciates the ones that are very authentic, emotional connected experiences. Many times fans just want to share their story with Shannon, thank her, express their gratitude, and tell her how much they love her father and her family. That is beautiful, especially when there is care in the exchange. When there are respectful boundaries, such as not trying to interrupt a conversation or trying to grab her away, then that is wonderful. Try to move away from the giving of adoration with the desperate need to get something back from it. Instead try to give the adoration in gratitude and send it off with love with no expectation or need for anything else, that the expression of your gratitude is a full and complete experience. You already have all the approval that you need as a human being, you just need to accept it and give it to yourself. Thank you so much to everybody for writing in with your questions! 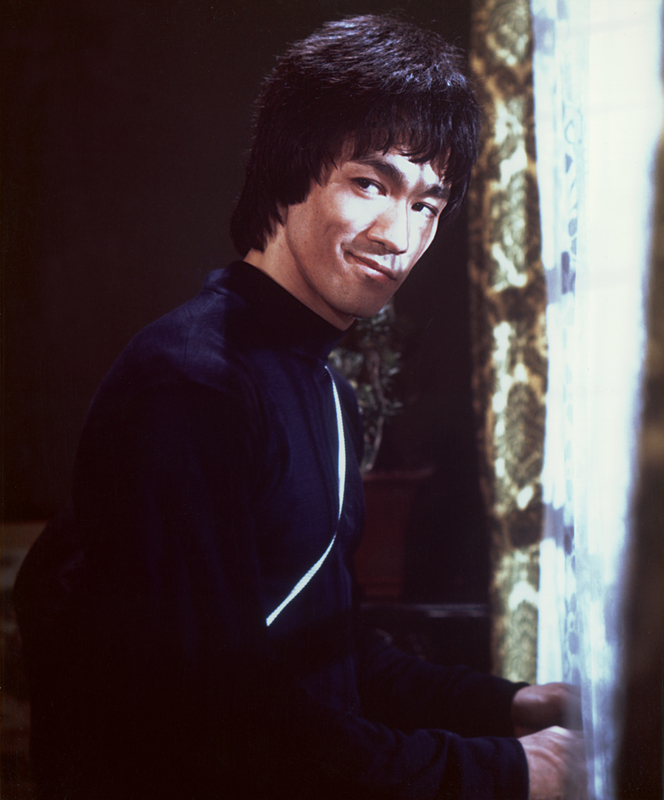 We want to encourage everyone to send us your questions and your use of the Bruce Lee philosophy in your life. When you share your stories, it really helps other listeners have light bulb moments and know that the philosophy actually works in the real world.